In Western PA, a very common summer activity is getting a bunch of friends and family together and floating down the river. You can float past some beautiful scenery and get a different view than just your backyard. It's an easy and fun way to beat the summer heat. Here at ToySplash we have some items that would be great for that river adventure. If you like the security of being inside a kayak the Solstice Flare 2-Person Inflatable Kayak would be a great choice for you. AND it is bound to be more comfortable than an ordinary kayak! The bucket seats are adjustable to fit two people perfectly. It is made of a tough, 1000 denier nylon supported fabric cover and a high pressure floor for those rigorous waters. 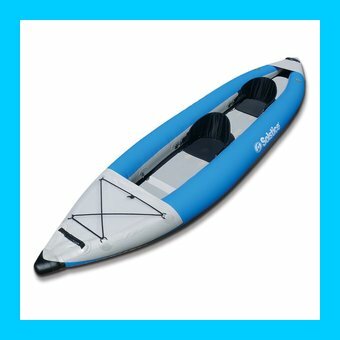 You can purchase this kayak right now for only $629.99. 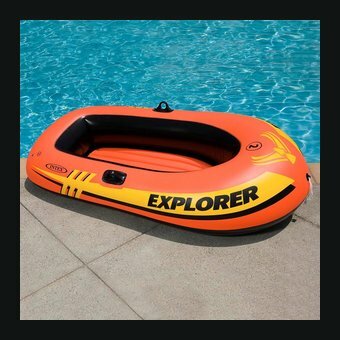 If you're looking for something with a little more room for activities, you can purchase the Intex Explorer Two Person Inflatable Boat. This would be great for two older kids to float along in while being tied to the adult raft or you could use it to carry your drinks/snacks! It is made of a rigid vinyl shell and an inflatable bottom. You can fill it with up to 210 pounds! Now that's a boat! This boat can be purchased right now for the low price of $12.75. 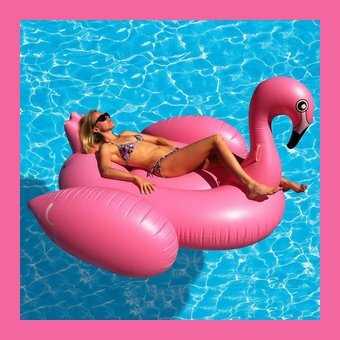 If you really want to be the life of the party, you could float on a Giant Flamingo! This is one of our best selling rafts here at ToySplash. It is over 80 inches long and is made of UV resistant PVC. If at any time you want the security of having paddles at arms reach, we have a solution for that, too! 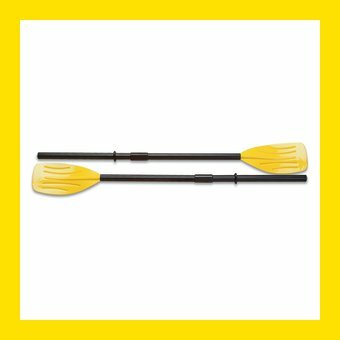 You can purchase the Intex Boat Oars to be used with any inflatable boat, raft or tube! They are 49 inches each and have an easy 3-piece assembly! Please make sure Life Jackets are included in this adventure!